We operate three kilns, one is a low energy solar kiln modeled after the Virginia Tech design, and the other two are custom low temperature, computerized dehumidification kilns. We use these specialty kilns to dry difficult wood such as white oak and red oak, but we can dry anything that comes off the sawmill. Drying lumber with these kilns is very gentle process resulting in unstressed lumber and allows it to retain its original, natural color. We generally dry the wood down to 6%-8%, which is the optimum moisture content for wood in this area, but we can go lower if neccessary. The kilns gives us a combined 6,000 board foot capacity. We use precision moisture meters to check each load. The reason we can offer kiln dried lumber for much less than the commercial kilns is due to the low energy consumption of the solar kiln and dehumidification designs. Hardwoods, especially oak, can only be dried at a very slow rate, typically about 2 percent moisture loss per day, or it cracks and splits. So commercial kilns are paying for several weeks, if not months, of power for each load, which is one of the reasons commercially kiln dried oak is so expensive. 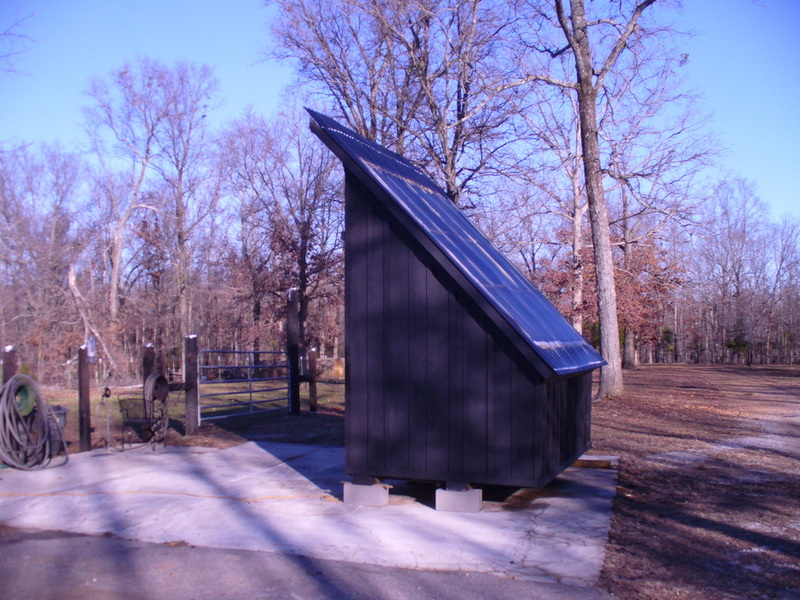 Solar kilns, as their name implies, harness the energy of the sun to create heat, so their overall energy consumption is much less than a standard kiln. Kiln Dried Wood - Is it Worth It? For general construction, kiln dried lumber is not necessary. In fact many people prefer to build some of their projects out of green lumber, straight off sawmill. It is easier to cut and nail, and as it dries, will shrink and form itself to the shape of what it is nailed to. So it will develop memory and be strong in the shape it is installed. Most people who have never built from green wood have never seen this effect. For example, hickory framing lumber is easy to work when it is green, but as it dries and hardens it gets to the point that nails can barely be pulled out without stripping their heads or breaking them in two. Air dried lumber is very common, and many people think it is as good as kiln dried lumber for furniture and cabinetry, but it is not. 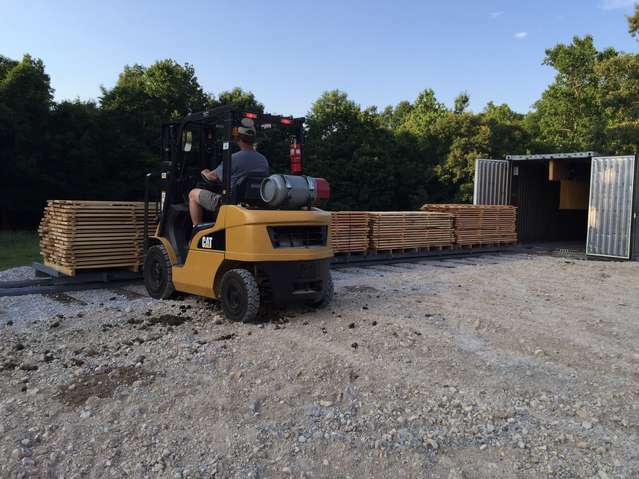 Air dried lumber can only reach about 20% to 15% Equilibrium Moisture Content (EMC) in North Alabama. This means that cabinets and furniture made from air dried wood will still be relatively wet, and will continue to dry and shrink as it is bought into a controlled environment with lower average moisture content, such as a house, which is usually at an EMC about 7%. As the air dried wood loses more of its moisture to reach the lower EMC at an uncontrolled rate, it will crack and warp. I have seen seven year old air dried red oak brought into a winter time house and start cracking within a couple days. Kiln drying is simply a process that allows the wood to reach extremely low moisture content in a controlled manner. As the wood gets to a low moisture content, less than 9 percent, it will lose the water in its cell walls, called Bound Moisture, contract upon itself, and become stable. Air dried wood will never reach a low enough EMC to lose its bound water, and will never be as stable as kiln dried wood. Any wood will still expand and contract in a household environment, but kiln dried wood will do so at a much reduced rate because it has already experienced these moisture conditions during its kiln drying process and doesn't react as much to the moisture swings.